The edible strawberry produces a white flower, whereas other, nonedible varieties of the strawberry plant, such as the wood strawberry, produce yellow colored flowers. The wood strawberry produces yellow flowers. The yellow flowers add a bright splash of color to gardens and the overall landscape, and help to signify to predators that the plant is not edible. The wood strawberry is also known as the mock strawberry, the Indian-mock strawberry, the wild strawberry and by its scientific name Potentilla. 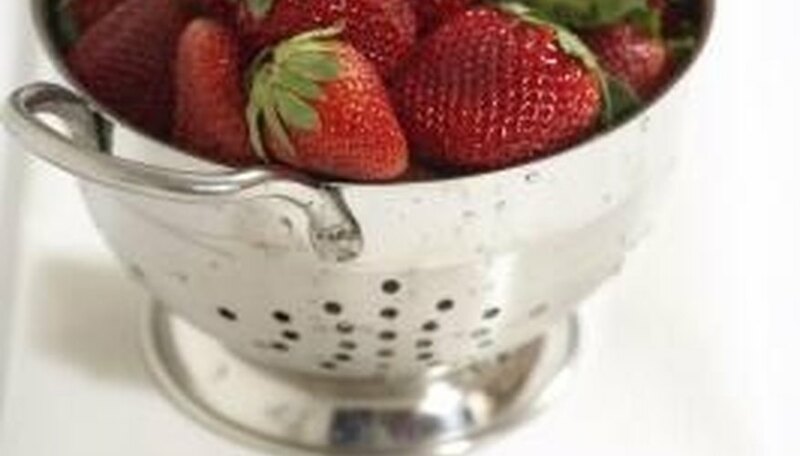 All of these names refer to a strawberrylike plant that differs in several significant ways from the common domesticated strawberry, which is the plant that produces the well-known fruit. Wood strawberries can be found growing in the wild, but have also been used as a natural ground or crop cover. The most distinctive element of the wood strawberry is the bright yellow flower that it will sometimes produce. In some cases the wood strawberry will produce a white flower that has a yellow center. This distinguishes it from the domesticated strawberry plant, which always produces flowers that are white or light pink in color. The leaves of the wood strawberry are three toothed and have a green-yellow top with a soft hairy bottom. The wood strawberry is edible and the fruit is shaped similarly to that of the domesticated strawberry; however, the fruit is often smaller in size. The fruit of the wood strawberry often has little or no taste, but is not harmful when eaten. Most commonly used as a groundcover for landscaping, wood strawberries can be used raw in salads or as a garnish, where their primary contribution is the bright splash of color they provide. The wood strawberry will grow in many areas of the United States, including the warmer regions of the South. The wood strawberry will appear in open areas as well as wooded ones, and it prefers a moist or dry environment to grow in. Like domestic strawberries, the wood strawberry prefers sunny environments, and will often grow on the sides of hills or on the edges of a forest.